You are here: Home / Tips, Tricks, and HVAC Expertise Blog / Is it time for a Furnace Repair or Furnace Replacement? Managing changing temperatures becomes increasingly difficult when your furnace is not functioning properly. Replacing your furnace or repairing it is difficult decision to navigate without expert advice. Luckily, we're here for you to guide you through the steps of knowing whether it is time for a furnace repair or all new furnace installation. Generally, if your furnace functions properly but has minor functional problems you should look at getting it repaired. Furnace repairs will cost you less under the right circumstances. If the furnace has a damaged part or has had no previous malfunctions, a proper servicing appointment can save you money and solve the immediate problem. There will be no costs associated with a new furnace installation, or the cost of a new furnace. When should you replace it your furnace? Although servicing your furnace may seem like the obvious solution, there are instances when your home requires a new furnace. If your furnace cannot function efficiently in the changing climate of Edmonton, you should be looking at replacing your furnace. This could save you money in the long run on energy costs and keep your family safe and warm. Proper furnace installation ensures that it will perform properly and to its most efficient capabilities. The lifespan of your furnace depends on average climent and frequency of use. Generally your furnace could last you anywhere from 13-20 years. If your bills are continually increasing without any other obvious costs, chances are your furnace needs to be serviced. It is important to consider the type of furnace you are installing and the associated risks. Gas furnaces are at risk of leaking carbon monoxide into the air which causes dangerous health problems or even fatality. This deadly gas is colourless and has no odor. It is important to have your furnace installed properly and and serviced regularly to ensure the safety of your family. 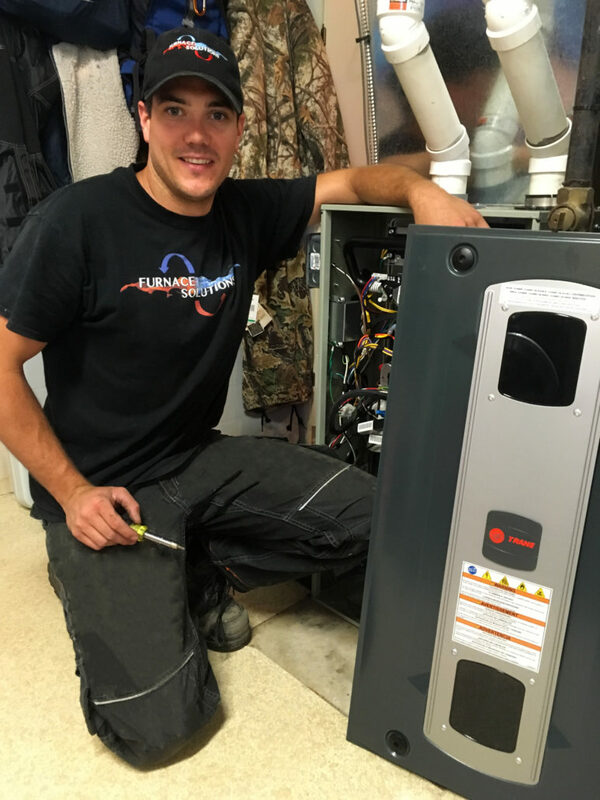 Your leading Edmonton furnace company Furnace Solutions can assist your navigating your decision to repair or replace your unit. How to Safely Manage Your Company's Furnace Visit Furnace Solutions at the Edmonton Home and Garden Show!